Mattie’s professional life is devoted to creative film and TV productions, and her community spirit to supporting the Santa Clara Valley arts scene. In 2006, Mattie and her filmmaker husband Nils Myers launched 152 WEST Productions. Their portfolio includes feature films, corporate videos, short film documentaries, and entertainment videos. She serves on the board of the Gilroy Downtown Business Association and the Community Media Access Partnership. Previously, she served as Chair of the Gilroy Arts and Culture Commission, and on the board of the Gilroy Arts Alliance. Robbie is a passionate digital marketer based in San Jose. When not running a marketing campaign, building new websites, or consulting with clients, he enjoys raising his daughter and helping non-profits. Robbie sits on the Board of the San Jose Dance Theatre, where he helps to market their ballet studio and annual performance of the Nutcracker. 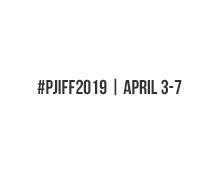 Brian Dutton joined the PJIFF Board in 2018 to serve as Vice President. He is the President and Treasurer of a local non-profit, and brings close to 10 years of experience in non-profit financial management. In addition, Brian is a life-long musician, artist, and film fan. He currently plays guitar in the local alternative hard rock band, Not This Day, and has a small business where he designs, builds, and modifies analog effects for musical instruments. Grant is an English and Film Professor at Gavilan College. In this role he helps students explore key aspects of filmmaking and digital media arts to prepare them for 21st century careers. Many of his students have gone on to become successful filmmakers and videographers. His company, Reelized Pictures, produces short and feature-length films. Michael launched his filmmaking career doing projects for Stanford’s Graduate School of Business. Since then his freelance work has expanded to include corporate projects, sporting events, several feature films and music videos. An avid cinematographer, he operates his own studio and knows his way around a RED camera, drones, and other state-of-the art equipment. Lori Foster is a bonafide film enthusiast who enjoys everything from classic movies to documentaries. She worked for more than a decade supporting 32 theater productions as props mistress for a local community theater company. Lori worked as property manager for an independent feature film shot on locations in South Santa Clara County, San Francisco, Monterey and Santa Cruz. William “Bill” Leaman co-founded Morgan Hill Access Television in the 1990s. He has worked on camera and behind the scenes for leading movie studios in Hollywood, and has contributed his photography, sound mixing and lighting skills to other production companies. His company, Digital Dream Productions, delivers commercials and videos to business and industry. 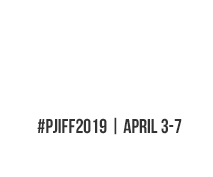 He founded the Poppy Jasper Film Festival in 2004 and continues to serve as Board President.